The bedroom is not just where we sleep, it's a haven, a place to get away from it all, to read a book, to relax, and yes, to sleep. We want our bedrooms to be a retreat from the rest of the world. Carpet is a very common choice for bedrooms and it’s easy to see why. Comfort. Warmth. And with so many style and color options, you can create any interior design scheme you want. This space offers some unique opportunities for carpet. First is style and design. Don’t be afraid of texture, pattern and bolder colors. Move away from solid color saxonies and you’ll be rewarded with a floor with lots of visual interest and can serve as the perfect backdrop for whatever creative designs you can bring into the space. 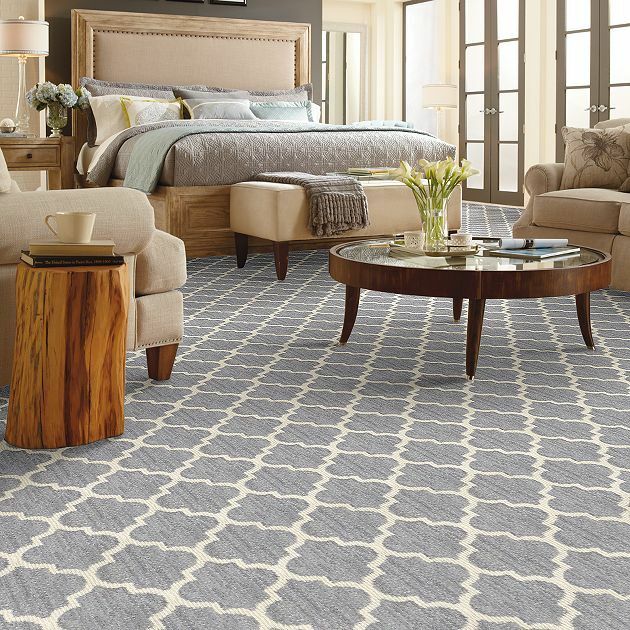 If you choose carpet, you’re going to want something soft and lush – think of that moment when your feet first touch the floor at the start of a new day. At the same time, since bedrooms don’t have to contend with high traffic you can opt for a thicker, more plush PET carpet (which is still naturally stain resistant) at the same price that a lower face weight nylon carpet would offer. Still, is softness is a consideration, the new soft nylons and triexta carpets cannot be beat. Hardwood comes in at a close second for bedrooms. Its natural beauty and visual impact are unrivalled when it comes to signature spaces in your home. 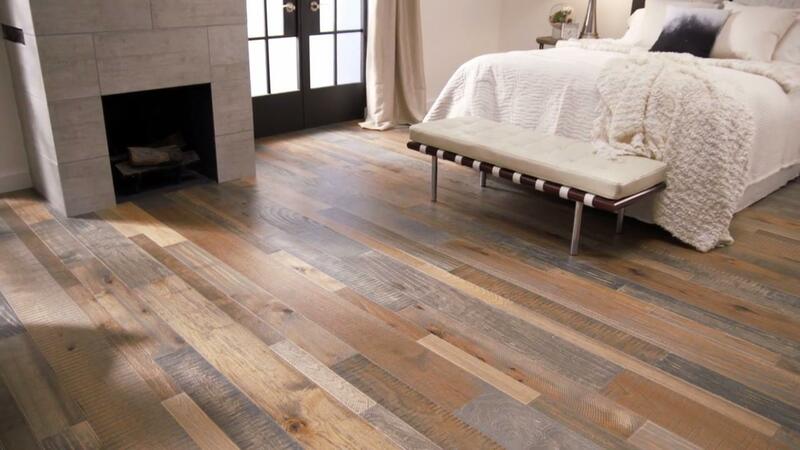 With today’s new finishes and surface treatments, it’s hard to beat the beauty of natural hardwood. 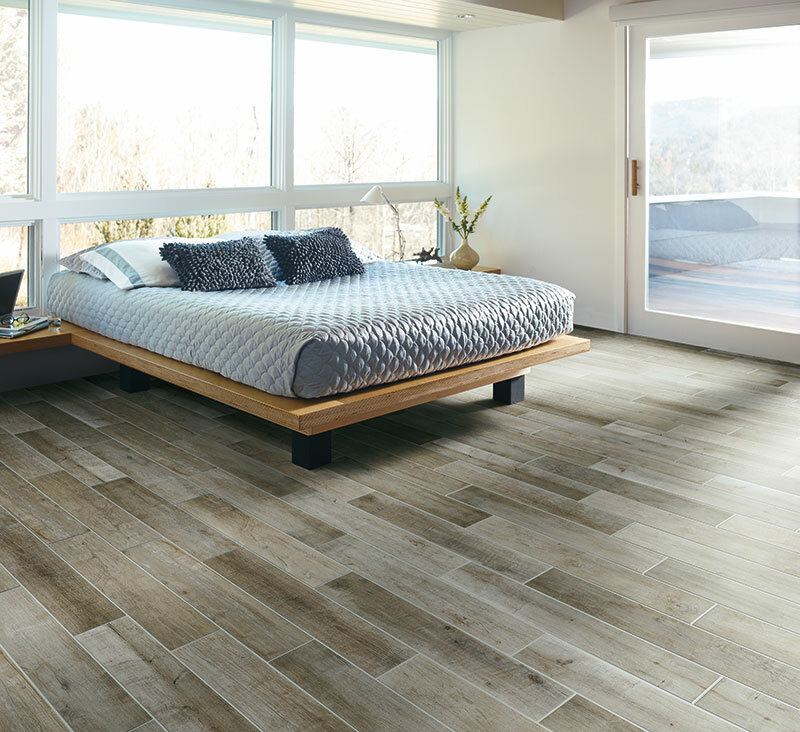 Laminate is a great choice because of the style options and realistic looks it provides - everything from wood and stone looks to more contemporary designs. You may want to use a good underlay to mitigate sound.